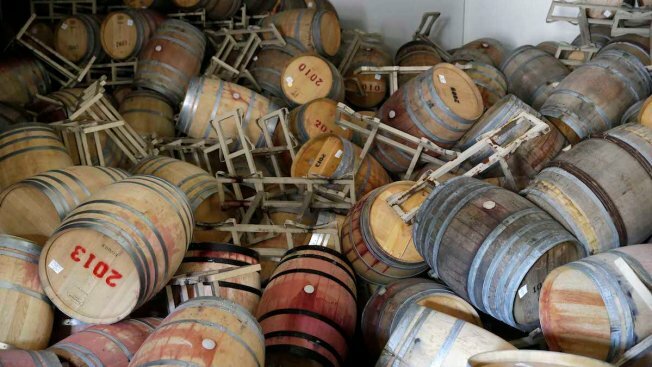 More than 110 Napa wineries sustained damages from Sunday's earthquake, which amounts to more than $50 million in losses to the region's wine industry, according to the Napa Valley Vintners trade association. The famed Mondavi family was on the long list of wineries impacted and damaged by the temblor. "There has never been a disaster that's been so hard hitting and fast like this," said Rob Mondavi, a fourth-generation vintner. "We've had droughts, we've had floods, but this has been the most dramatic, most emotionally impactful." The Mondavi family said they have lost at least 5,000 gallons of wine. 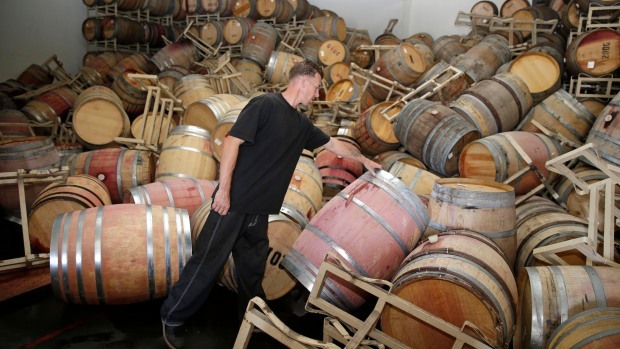 Some of the wine was barreled and stored at the Napa Barrel Care, which took a major hit during the quake. "My estimation is the damages will continue to escalate as we dig out in the Napa Valley," Mondavi said. Garret Ahnfeldt of G Wine Cellars had much of his 2012 and 2013 vintages stored at the Napa Barrel Care as well, and is still tallying his losses. "It's like adult Jenga, wine Jenga. You walk into the room, everything's tacked on top of each other. Everything has fallen in piles," he said. "In my lifetime there's not been a huger catastrophe in the wine industry. This is going to be something for the history books." Most vintners are looking forward to getting back to normalcy and said they will make a comeback. "We have a blessing from a higher power and also a little reminder that there might be something going on upstairs," Mondavi said. "This is wine -- even though this is our soul and what we do, and it's our art -- we in the future have to continue to build and create new wines."